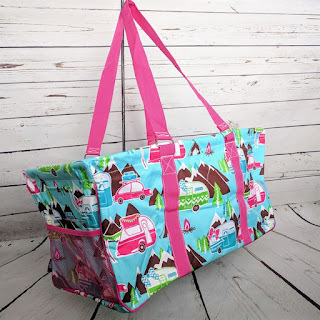 Love my Haul-It-All Tote | 41 Prints for $22.99 (Retail $32.99). SHIPPING is steep BUT when you figure $31.98 Shipped - it really makes this tote worthwhile. I've had mine for over 3 years and LOVE it! Less than what you pay for a 31 Bag. $8.99 for the first item and $6.49 for each additional item. US only. Seller usually ships within 24 hours. Ships no later than Wed, Apr 11.